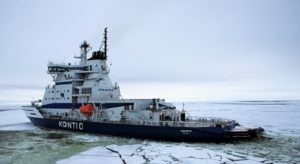 Finland is chairing Arctic council 2017-2019. Meteorological and oceanographic co-operation is one of the four priorities. Actions include implementation of WMO initiatives Arctic Polar Regional Climate Center (PRCC) and Year of Polar Prediction (YOPP) Campaign, intensifying the work of Sustainable Arctic Observation Network (SAON). Read more at FMI website.